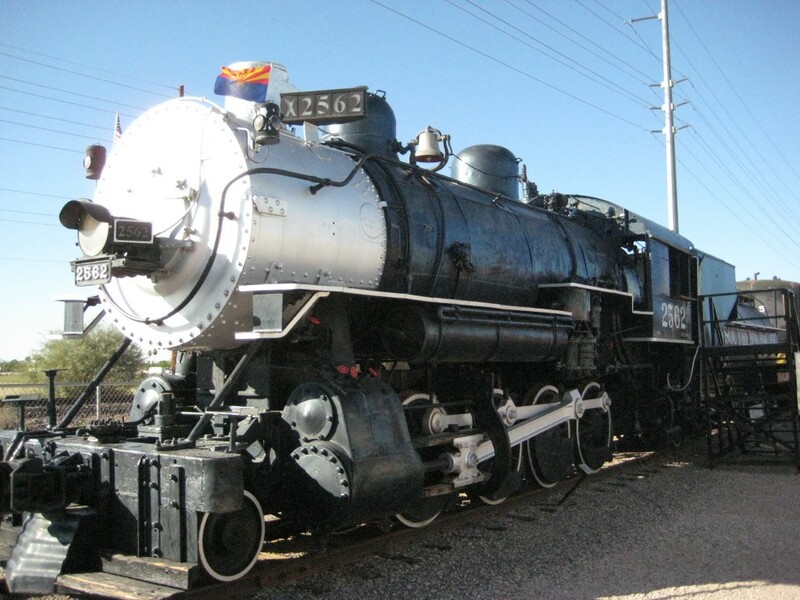 Last year, I discovered an absolutely wonderful old Engine at the Arizona Railway Museum, in Chandler AZ. This engine very quickly caught my attention, and bumped itself ahead of another couple engines in my build list. This engine has had a long history of being donated, moved, and saved, and instead of ruining a good story with my rambling I’ll provide a link to the ARM website where they talk about it’s past and present in good detail. 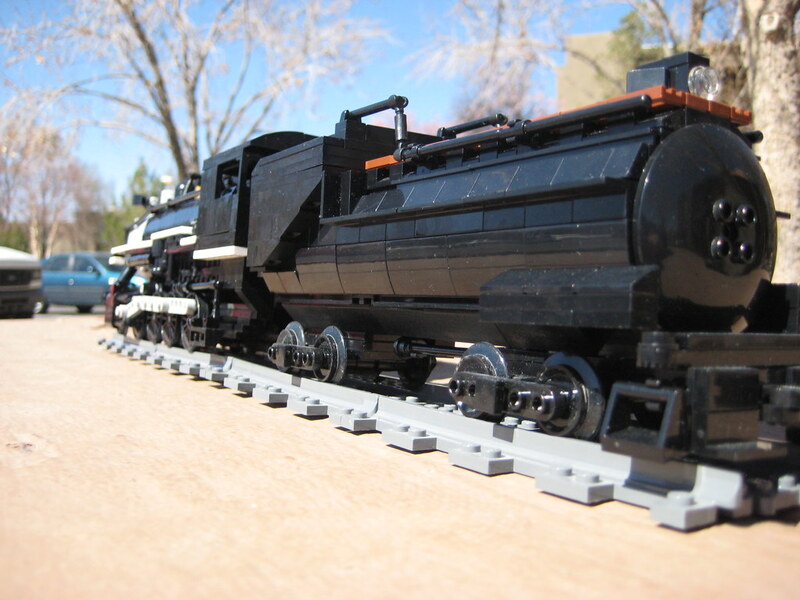 This engine appealed to me in many ways, and I had some high goals for myself with the model. Firstly, I wanted to be able to have the engine powered via the drivers by a pair of motors hidden in the boiler, with the rest of the equipment hidden in the lovely Vanderbilt tender. The biggest goal, however, was my intent to give this engine a working approximation of the internal Stephenson Valve gear. 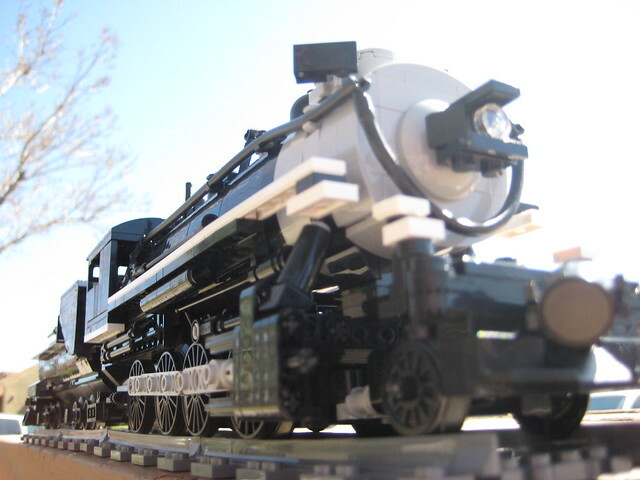 To the best of my knowledge and research, working internal valve gear had never before been done in a LEGO engine without modified or custom parts – and I was intent on going with a purist system. I ended up taking numerous pictures of the real engine, especially between the frames to try and get an authentic looking motion. The third driving axle has a couple of eccentric cranks that swing a pair of bars past the second axle, where they provide a back-and-forth rocking motion to the timing gear above the wheels. A show, but somewhat poor quality demonstration video on my Flickr account should show the effect in motion. This engine is finished in all the major work, although it could use some decals and a couple more hoses under the cab. 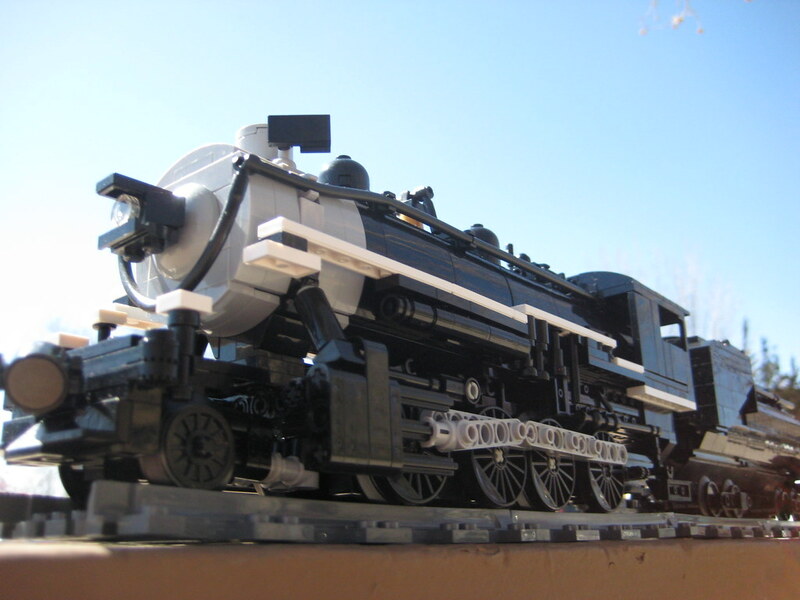 This engine has roughly 1200 parts to it, and is powered by two of LEGO’s Power Functions M-Motors hidden inside the boiler. Due to the design and wheelbase, particularly the lack of a trailing truck on the engine, it proved trickier than expected to get it to run smoothly. In the end though, it runs very well and though slow has a decent amount of power to it. 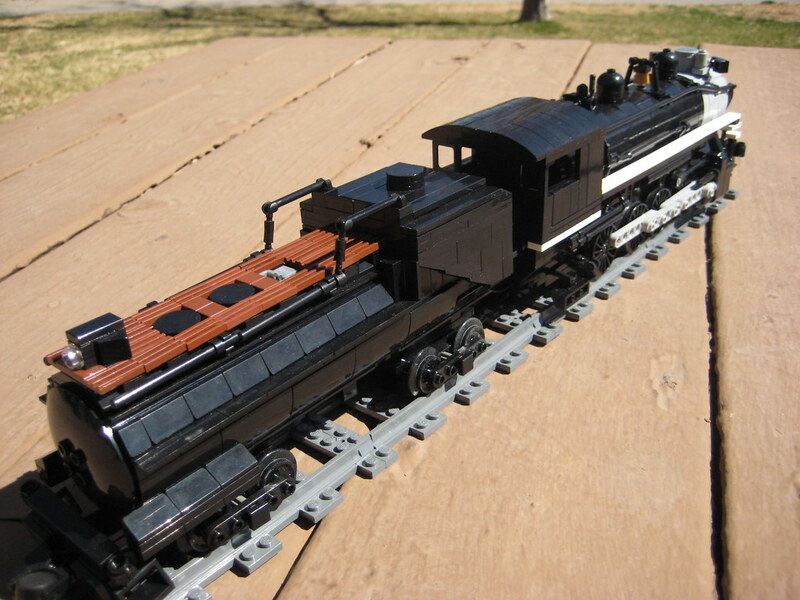 I may at some point swap out the 2 M-Motors for a single L-Motor, and do some tweaking to the running gear at the same time; but currently LEGO does not offer the L-Motor for individual sale and the secondhand market prices are, in my opinion, unreasonable. As it is built now, #2562 is great fun to run and watch, and the valve gear ended up running so well that I fully intend to standardize it on appropriate engines in the future. 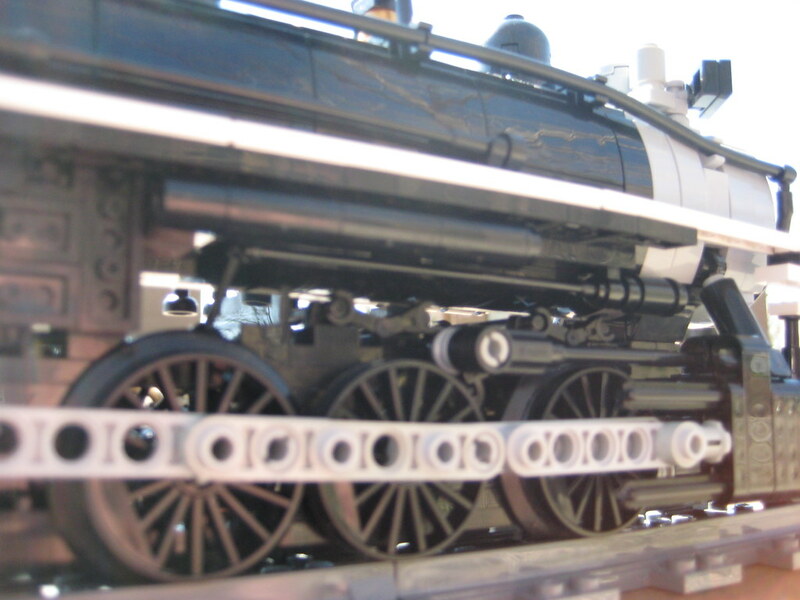 A variant of this same valve gear is found on my model of Southwest Lumber Mill’s Engine 25, adapted to the smaller drivers. 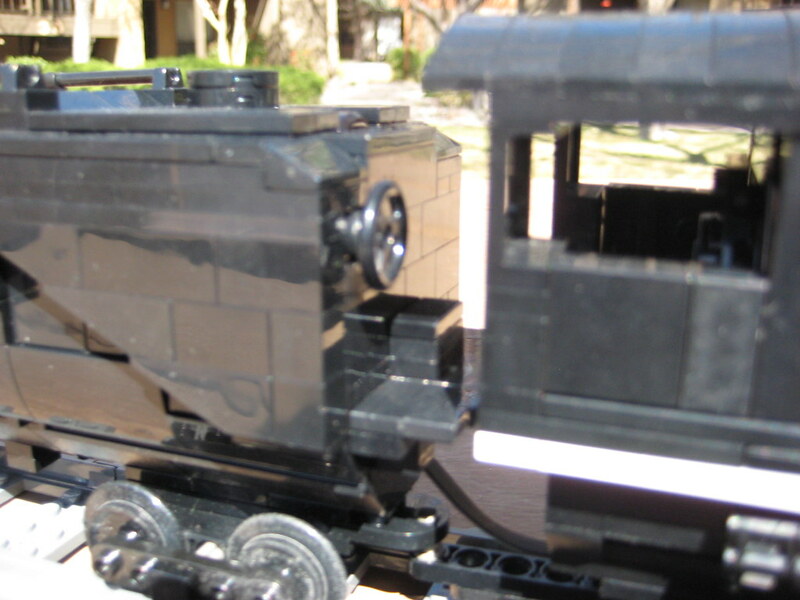 This engine ran at the 2013 Phoenix Comicon as a part of CactusBrick’s display, and although one of the slower engines was undoubtedly reliable and capable.